It’s no secret that exposure to UV rays can be harmful for the skin. Along with increasing the the risk of a variety of potential health problems, sun damaged skin can also look dry, uneven and give the impression of premature aging. Ultraviolet radiation can cause both immediate and long-term changes in the skin’s structure, depleting its ability to produce and distribute essential lubricating oils and moisture. Left untreated, sun damaged skin can potentially increase in severity over time, resulting in excessive dryness, unevenness and a generally dull complexion. While excessive exposure to the sun’s rays is always inadvisable, the aesthetic issues caused by sun damaged skin can be reduced or even reversed. 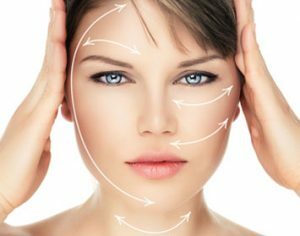 We use an extensive range of cutting-edge treatments to restore skin’s suppleness, evenness and its natural youthful glow, with no invasive surgery required. Tackle hyperpigmentation, restore essential moisture and help build your skin’s natural defences against everyday threats and exposure. Contact the team at HSA Dermal Clinic today for more information. There are various different options to choose from when it comes to sun damaged skin treatment in London. The most appropriate option will be determined by the nature and extent of the damage, along with the preferences of the respective individual. For example, one of the best sun damaged skin treatments for excessively dry skin is the deep and intensive delivery of rich nutrients. If the top layer of the skin is somewhat excessively damaged, chemical peels are useful for removing the top layer of skin and nurturing the production of healthy skin cells. One of the most popular and effective sun damaged skin treatments in London is laser resurfacing, which works in a similar way to a chemical peel, but uses advanced micro beam lasers instead of a chemical solution. In order to determine the best sun damaged skin treatment for your case, we’d be delighted to provide you with an obligation-free consultation at our cutting-edge clinic at the heart of London.